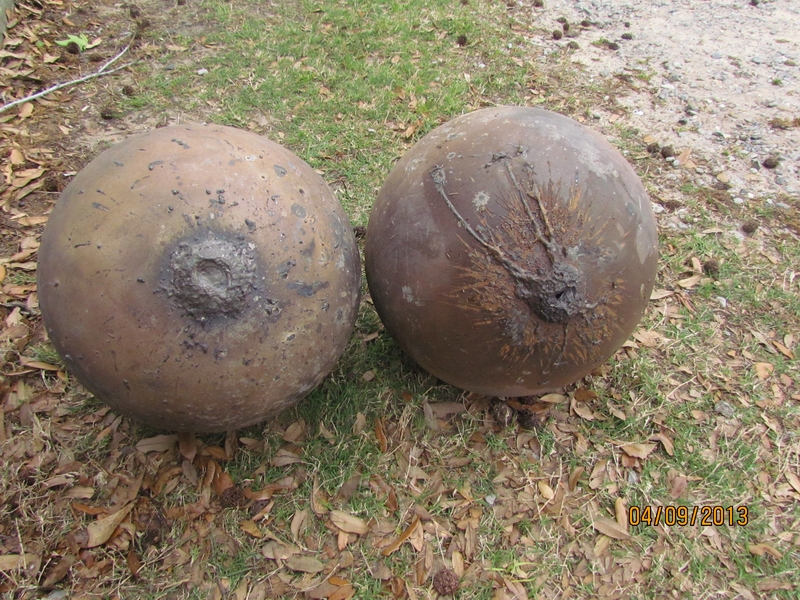 The first and third spheres found on the property of Dean Gentz and Trac Ellis, respectively (Credits: Dean Gentz). 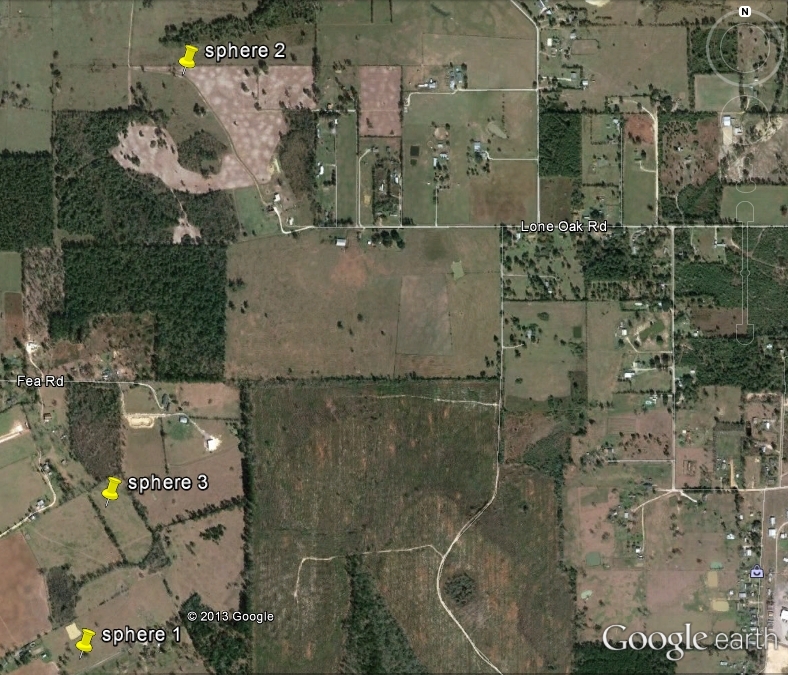 Plot of the locations of the three spheres Gentz has recovered (Credits: Dean Getz/Google Earth). 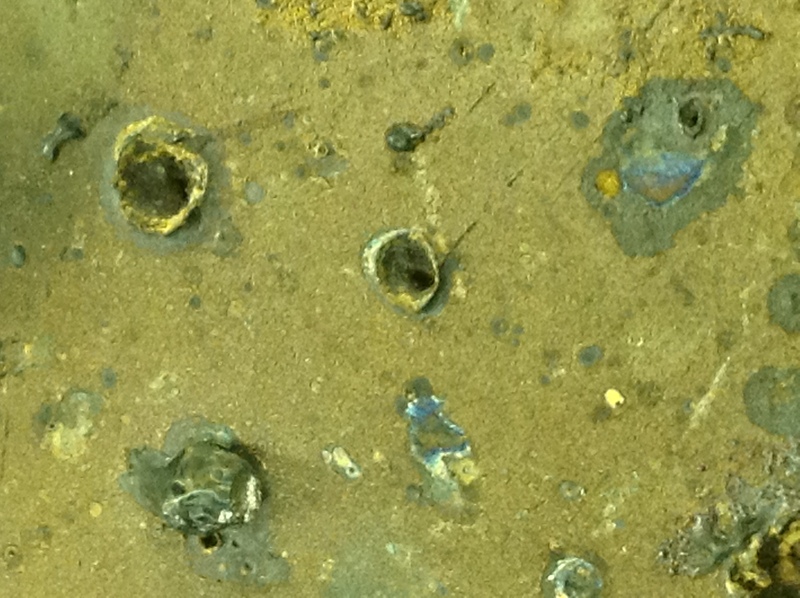 Close up of the surface of Gentz’s first find, consistent with the impact marks from micrometeoroids (credits: Dean Gentz).